We were at Six Flags amusement park and I looked to the right and saw a huge hovering object. At first we thought it was a drone, blimp or satellite then we realized how massive the object was. It was huge. It was large and dark black making no noise at all. It had flashing lights on the three tips of the triangle and a top part similar to a diamond shape. After watching for a minute or so trying to grasp what it was it slowly crept forward and then it was gone and I couldn’t see it anymore. NOYE: The above image is CGI. This case in under investigation by State Section Director Bob Spearing of MUFON New Jersey. 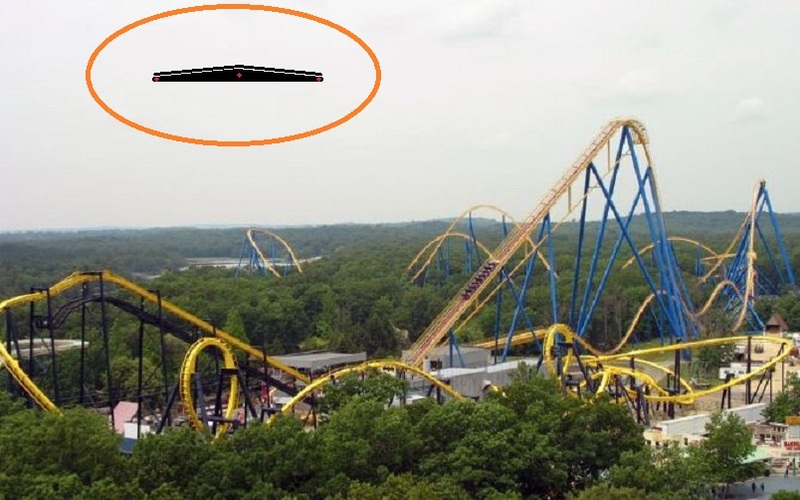 This entry was posted in best ufo photos, incredible ufo photos, MISSING TIME, top ufo news, UFO, UFO ARTICLES, ufo news, ufo photos and tagged 10-30-18 SIX FLAGS UFO TRIANGLE NEW JERSEY, 2018 JACKSON NEW JERSEY TRIANGLE UFO, ABDUCTION, ALIEN CRAFT, ALIEN CRAFT LANDING, ALIEN CRAFT PHOTO, ALIEN ENTITY, ALIEN IMAGE, ALIEN IMPLANTS, ALIEN PHOTO, ALIEN PICTURE, AMAZING UFO PHOTO, ARKANSAS UFO PHOTO, BEST UFO PHOTO, best ufo photos, CAMERA CAPTURE UFO, CIRCLE LIGHTS UFO, close encounter, CLOSE ENCOUNTER UFO PHOTO, DISC, FLYING SAUCER, HIGH STRANGENESS, HUMANOID, incredible ufo photos, KEN PFEIFER UFOLOGIST, light photo, MISSING TIME, NEW JERSEY UFO TRIANGLE, OCTOBER 30, saucer, SPACESHIP UFO, top ufo news, ufo, UFO ARTICLES, UFO LANDINGS, ufo news, ufo photos, Uncategorized | Tagged ABDUCTION, WORLD UFO PHOTOS, world ufo photos and news by KEN PFEIFER. Bookmark the permalink.